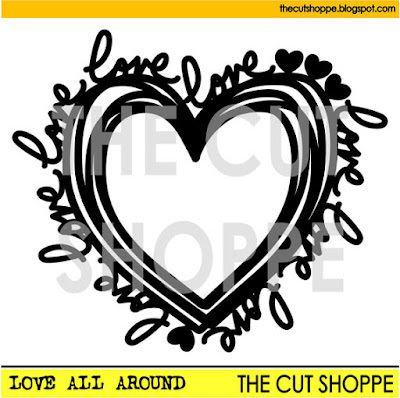 Hello!I have a new layout to share for The Cut Shoppe today, using the gorgeous Love All Around cut file! I love doing love-themed layouts and I know I'm going to get so much use out of this one. I received a beautiful set of ribbon for my birthday, and I knew I wanted to use it on a page. This layout was so easy to make! I covered a piece of cardstock in adhesive, and layout out ribbon. That's it! I cut out the heart from white cardstock and put it in front of a piece of vellum so it could stand out on the busy background. The title and embellishing were kept super simple so that the ribbon could take center stage! 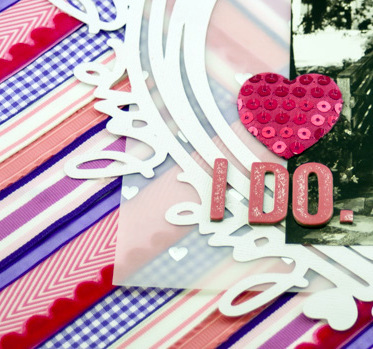 Using your ribbon as a background is a great way to use up some of that ribbon stash that we all have! I hope you feel inspired! Beautiful layout Allie! 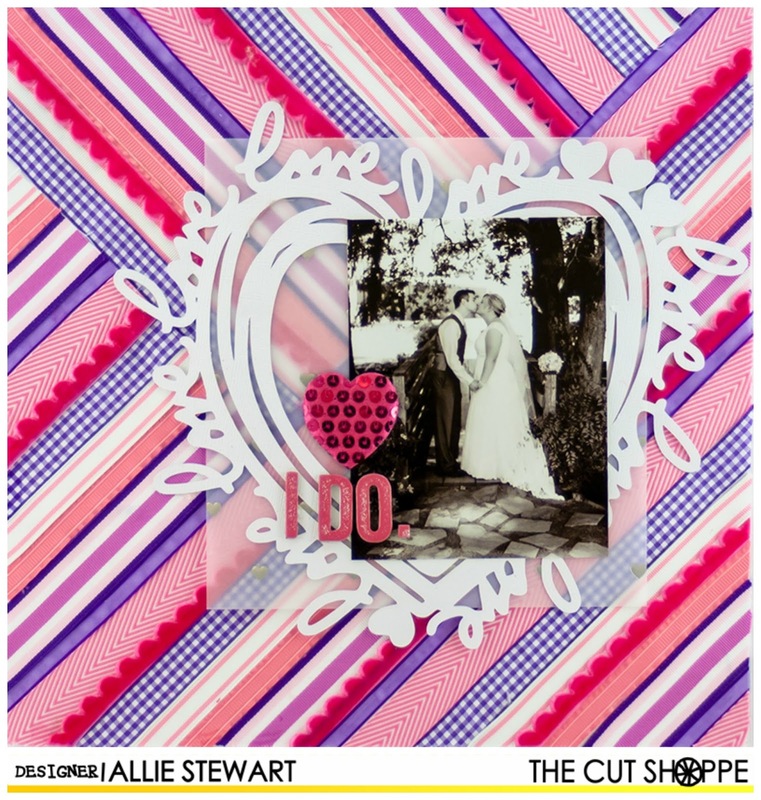 I love the ribbon background and that die cut is so pretty!! This is so beautiful Allie! The cut file looks amazing with the ribbon background!